DEPECHE MODE & KILLERS at ISLE OFWIGHT FESTIVAL 2018. Depeche Mode, an English electronic band formed in Basildon, Essex in 1980, will headline the Saturday night at this year’s Isle of Wight Festival. Consisting of founders Dave Gahan (lead vocals, co-songwriter), Martin Gore (keyboards, guitar, chief songwriter), and Andy Fletcher (keyboards), Depeche Mode released their debut album Speak & Spell in 1981, bringing the band onto the British new wave scene. Original band member Vince Clarke, left the band after the release of the album, leaving the band as a trio to record A Broken Frame, released the following year. Martin Gore took over the lead song-writing duties and, later in 1982, Alan Wilder officially joined the band to fill Clarke’s spot, establishing a line- up that would continue for the next 13 years. The band’s last albums of the 1980s, Black Celebration and Music for the Masses, established them as a dominant force within the electronic music scene. A highlight of this era was the band’s June 1988 concert at the Pasadena Rose Bowl, where there was a crowd of 60,000+ people. In the new decade, Depeche Mode released Violator, an international mainstream success. Depeche Mode have had 50 songs in the UK Singles Chart and seventeen top 10 albums in the UK chart; they have sold over 100 million records worldwide. They are included in the list of the “50 Bands That Changed the World!” and are ranked number 98 on VH1’s “100 Greatest Artistes of All Time”. In December 2016, Billboard magazine named Depeche Mode the 10th most successful dance club artistes of all time. Now comprising Gahan ,Gore, Fletcher and other musicians the band will be touring North America with performances in some major cities such as Chicago, Boston and Toronto prior to their Isle of Wight appearance. These additional dates follow a successful tour in 2017. Called the Global Sprint Tour it was estimated that Depeche Mode played to 3 million people during the course of the tour. Their Isle of Wight appearance forms part of their Euro Tour and following on from Seaclose Park they will be on stage at the Volt Festival, Hungary on the 26th June, Tinderbox Festival, Denmark on the 28th and St, Gallon Festival, Switzerland on the 30th June. 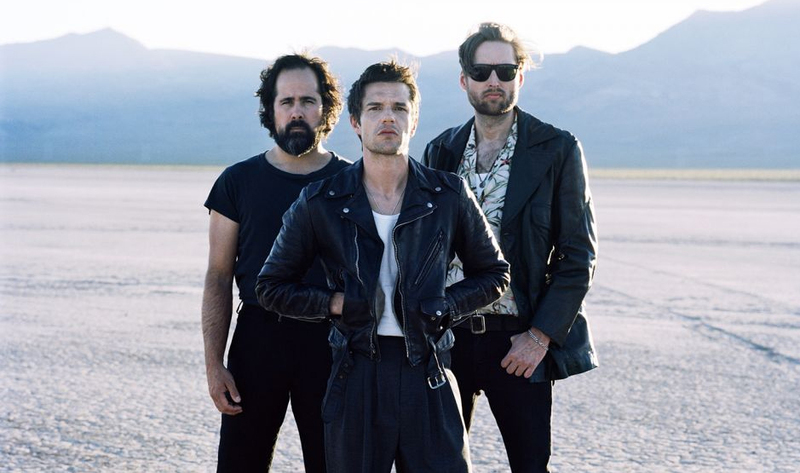 Conceived in Las Vegas, Nevada in 2001 The Killers will headline the 2018 IW Festival on Sunday evening (24th June). By 2002 the quartet had settled into their present lineup. Frontman Brandon Flowers is responsible for lead vocals and keyboards. He is backed up by Mark Stoermer (bass and vocals), Dave Keuning (guitar and vocals) and Ronnie Vannucci Jnr. on drums and percussion. Their group name comes from the logo on the bass drum of a fictitious band portrayed in the music video for New Order’s 2001 release ‘Crystal’. All four of the Killers studio albums have reached Number 1 in the UK. ‘Hot Fuss’ set the trend in 2005, followed by ‘Sam’s Town’ in 2006, ‘Day and Age’ in 2008 and their latest ‘Battle Born’ in September 2012. In fact, the latter three album releases all entered the UK charts at Number 1. Brandon Flowers tasted solo success in September 2010 when his solo album ‘Flamingo’ went to Number 1 in the UK. A compilation album ‘Sawdust’ was released by the Killers in 2007. In 2009 ‘Live From The Royal Albert Hall’ appeared. Over the years the band have recorded a number of memorable singles including ‘Read My Mind’, ‘Somebody Told Me’ (a number 3 hit), ‘Mr. Brightside’, ‘When You Were Young’ which reached Number 2 in 2006, ‘Human’ which reached number 3 and ‘Runaways’ in 2012 from the ‘Battle Born’ album. In 2013 the single ‘Here With Me’ had a video directed by Tim Burton. Filmed in Blackpool, Lancashire, it features Winona Ryder and a wax model! And, also in 2013 with the daylight fading on the Saturday night that year’s IW Festival headliners The Killers opened with ‘Mr. Brightside’. Brandon Flowers soon had the Seaclose crowd with him. In an energetic set the band gave faithful reproductions of well- known favourites like ‘Human’ ‘When You were Young’ ‘Somebody Told Me’ and ‘Can You Read My Mind’. A versatile Brandon was kept busy as lead vocalist and playing keyboards, guitar and synthesizer. As a nod to locals in the audience he mentioned Dinosaur Isle and, during The Beatles‘ classic, ‘When I’m 64’ he noted ‘….we could watch the Killers on the Isle of Wight.’ This exciting set ended with fireworks.